It’s not clear if proposed Federal legislation to convert local beach leaseholds to fee simple title protects public access to Santa Rosa beaches. The bills outline a preservation requirement that only references areas currently reserved for conservation in Escambia County. The verbiage appears to leave future preservation decisions on the Santa Rosa side up to Santa Rosa’s Commission. 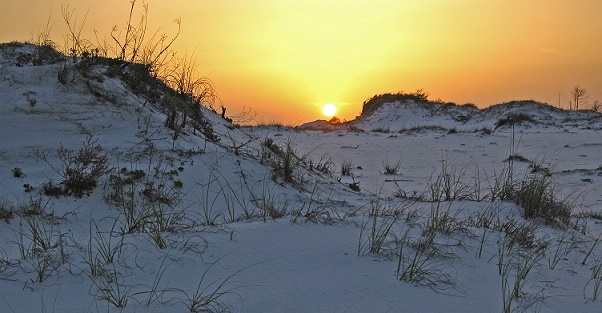 The U.S. House approved a measure to convert beach leases to title in both counties, H.R. 2370, July 26. The Senate version, S 1073, sponsored by Senator Marco Rubio, is currently under review by the Senate Committee on Energy and Natural Resources. Both bills would give Escambia County two years to transfer Santa Rosa’s portion of the land over. (A) shall assume ownership of the non-Federal land free of the restrictions on the non-Federal land described in subsection (g) [emphasis added]; and (B) may establish any lawful restrictions on, or criteria for the reconveyance of, the non-Federal land to any leaseholder of the non-Federal land.